The House Baba Built is a wonderful book! 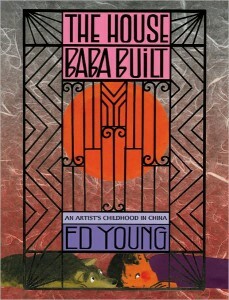 In it, author Ed Young gives a well-illustrated recount of his time as a child in Shanghai. The book opens with a war in Shanghai. Young tells how his father wants to move the family somewhere safe, and feels the safest place is near the embassies. The problem is, the land is too costly, so his Father (Baba) propositions the land owner and states, telling them he will build a big brick house with gardens, courtyards and a swimming pool if he and his family can live there for 20 years. As the war progresses, many people begin moving into Baba’s house. Family members with children as well as people who aren’t even related to Young’s family also move into this very special house. But Young and his siblings don’t have a problem with this; they take well to the new children, building bonds that resemble those of an actual family. 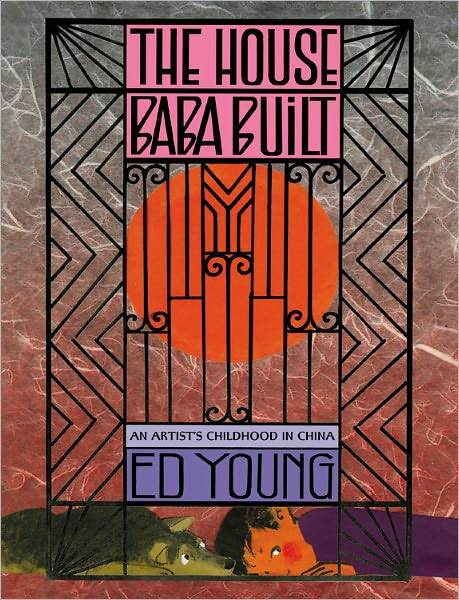 The amazing “house that Baba built” allowed Young and the others in the house to put their imaginations to good use, and this is reflected in the beautiful illustrations throughout the book. For example, the roof was like a skating rink, and although the children had to share one roller skate, they had loads of fun. Also, they turned a rocking chair into a make-believe horse, and they played with imaginary toys all through the house. Later, as the war moves through the city of Shanghai and bombs drop everywhere, Baba directs the occupants of the house to move into a special section of the house; a special hallway. Ed Young later discovers that Baba built this hallway to be bomb-proof! This book is a wonderful recount of a young boy’s life during a turbulent era marked by war. It recounts the joys and strengths of Young’s family, and shows the compassion his Baba had on others by making accommodations for those who needed a home. It also shows Baba’s concern for his family’s safety and well-being, which is displayed in the location he chose for the house (near the embassies) as well as the materials used to make it bomb-proof. As I mentioned, I really enjoyed this book. In fact, I enjoyed the illustrations as much as the text. I hope this review has been helpful! Until next time! Previous articleOh, What a Christmas! Hi Everyone! 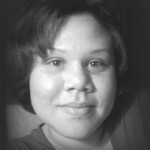 I'm Markeyda. 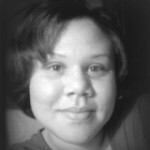 I'm located in Marietta, GA and I am lover of historical fiction, mysteries and thrillers. I also absolutely love murder mysteries! 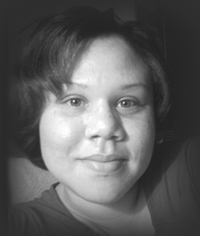 I have a BS in Criminal Justice and I'm pursuing a Master's in Public Administration. Feel free to email me if you have a new book you think I'd like to review.